biggest breakthrough to better health and better nutrition. Most people have never even heard of drinking molecular hydrogen water or it's amazing health benefits. The smallest molecule on the planet just may be the biggest breakthrough to better health and better nutrition. There are hundreds of research studies on humans (and animals) that demonstrate the abundant benefits of having a molecular hydrogen supplement program added to your nutrient health especially at the cellular level. 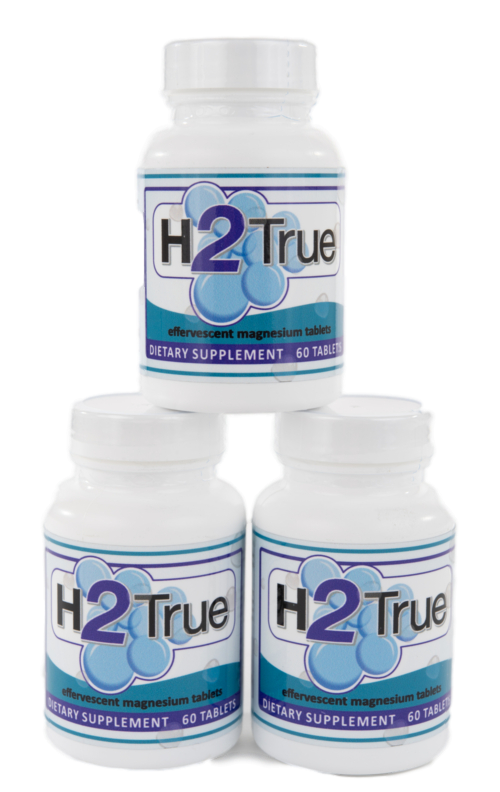 H2 True™ tablets are a proprietary formula and a convenient and rapid way to provide molecular hydrogen to your body and human physiology. Adding H2 True™ hydrogen formula tablets to your drinking water reacts by releasing millions of tiny hydrogen bubbles that are ready to get to work actively seeking out harmful free radical oxygen molecules inside your cells, bind to them and then take them outside your body through the body's elimination system. There is no easier way to build your health for all age groups and body conditions. We all know that drinking plenty of water on a daily basis is beneficial to the human body, in fact our bodies are comprised of 90% water. Daily consumption of hydrogen-rich water is even more beneficial and is quite easy to take using H2 True hydrogen tablets. H2 True creates molecular hydrogen water instantly by dropping an H2 True tablet into a glass of water or bottled water creating hydrogen rich water anytime, anywhere! Below we've listed some of the health benefits of drinking hydrogen water. What Does Hydrogen (H2) Water Do In The Body? The short story is that when you drink hydrogen water, the tiny hydrogen molecules neutralize the dangerous Peroxynitrite and Hydroxyl radicals responsible for cell membrane and DNA damage.They destroy key enzymes needed for critical health functions.” Hydrogen molecules are so small they penetrate our cell membranes and quench free radicals inside the cells. Hydrogen also penetrates our mitochondria, the energy-producing organelles to help restore their vital function. Thankfully, this is not marketing hype. The therapeutic benefits of using molecular hydrogen for better health and health related issues has been documented in over 700 scientific studies covering over 170 health related issues. Studies go back as far as 1798! Yes, hundreds of years. So, what is hydrogen water? Hydrogen water is water enriched or infused with hydrogen gas (H2), also known as molecular hydrogen. This means that hydrogen molecules when dissolved in water release hydrogen gas. This makes the water fizzy, sort of like when you drink a carbonated beverage. 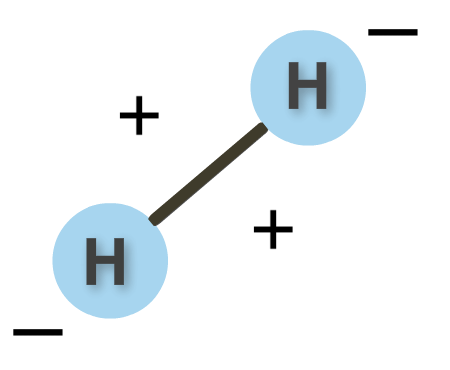 Hydrogen gas is made up of two hydrogen atoms (H2) that are covalently bonded (shared electrons). This gas has a neutral charge and is the smallest and lightest gas in the universe. These qualities make hydrogen gas extremely unique because it means H2 can get anywhere it wants to in your body, including passing the blood-brain barrier, and into subcellular compartments such as the mitochondria of your cells. Molecular hydrogen is also known as a therapeutic medical gas with amazing medical potential that is becoming the biggest thing in the scientific community. 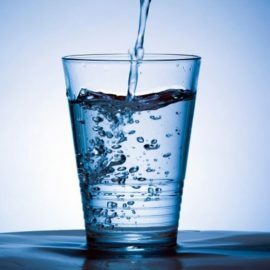 How Does H2 Work In The Body? H2 molecular hydrogen can help your body in two ways. 1. First it's known as a selective antioxidant - it neutralizes only the cytotoxic free radical cells - the cells that cause damage to your body. 2. But the second benefit of using molecular hydrogen is really a bonus because it appears to stimulate the production of the body’s own antioxidant system. This results in the production of more protective enzymes (antioxidants) such as glutathione, catalase, and superoxide dismutase. These antioxidants are powerful and aid in the reduction of oxidative-stress within the body, which have been linked to nearly all human diseases. Using H2 and combining with a healthy detoxifying diet and lifestyle will improve your health and increase your energy level and mental capacity. How Do You Use H2 True™? Make your own Hydrogen (H2) Water anytime, anywhere, instantly! The easiest and most efficient method is simply by dropping an H2 True tablet in 12 - 16oz of water and wait until the last remaining portion of the tablet rises to the surface; stir lightly and drink immediately. Depending on the water temperature this takes about 1 - 2 minutes (cold water takes longer to dissolve). In all cases, molecular hydrogen (H2) easily enters the bloodstream and is transported throughout the body ready to get to work gobbling up free radical cells that are doing harm in your body. Each bottle has 60 tablets and you simply dissolve one tablet a day in water and drink. Always place the tablet in water and then wait for it to dissolve before drinking.